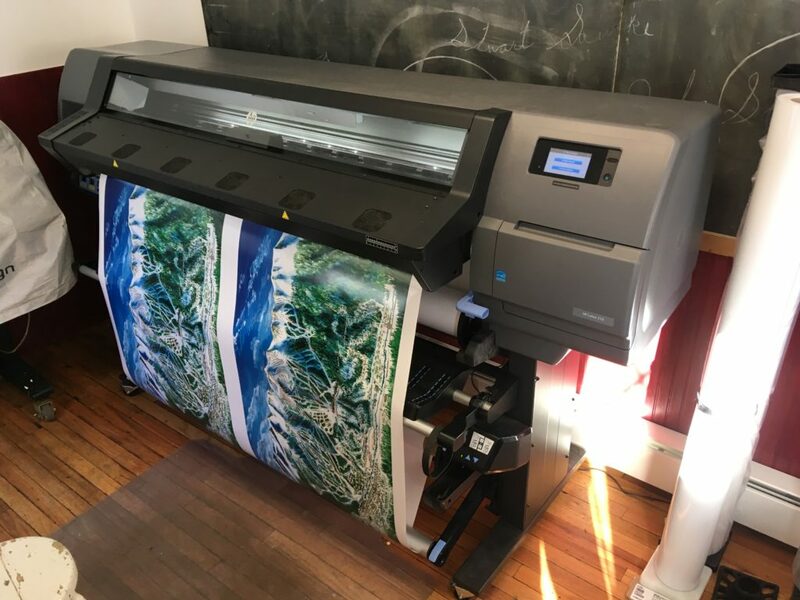 My long-time large format printer up and died earlier this summer and it took me all summer through fall to replace it and get back up and running. The new machine is an HP Latex printer. It is much larger and far more capable. This will allow me to print 54″ wide by—very long! We can print canvas, gloss photo, exterior self-adhesive vinyl, wall-cling (“Fat-head”), and many other stocks. 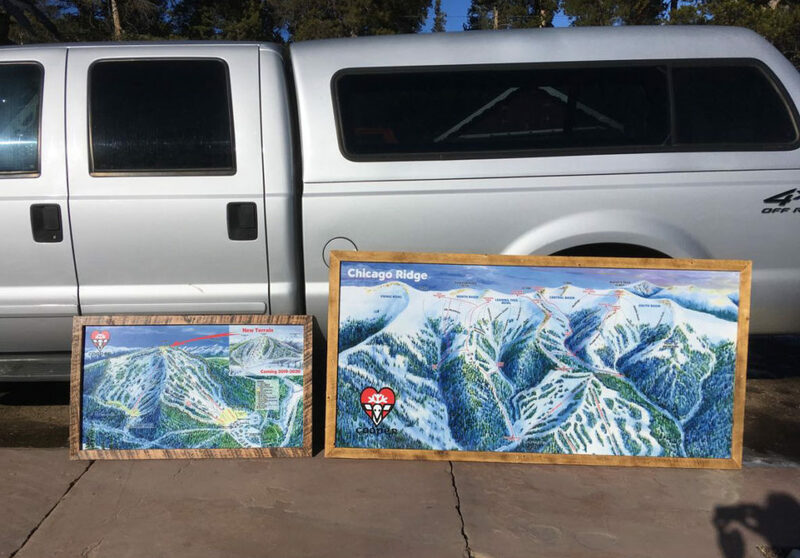 We recently printed some trailhead signs of my new trail map artwork for Ski Cooper. By the way, you can purchase prints of the new Ski Cooper Map through the Store.